← Today’s Watercolor AND Youtube: Tanabata! Gunma-chan macaron at my School Festival in Japan! I had a great time at my school’s Big Huge Once-Every-Three-Years Festival today! Because it’s a commercial school, our festival is different from the usual High School cultural festivals. This one is focused on SELLING. 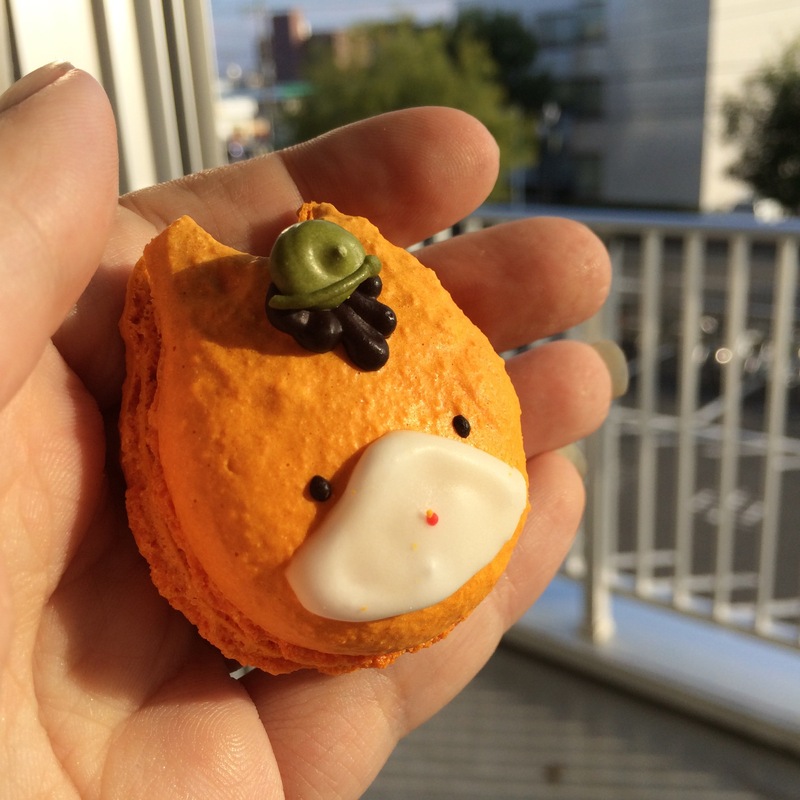 Some classes make things, and other classes make arrangements with local companies, like the bakery that produces these lovely Gunma-chan macarons. It’s a great chance to interact with the kids outside of the normal classroom situation–they get to use their most persuasive vocabulary! The best was the the budding salesman in the class selling fresh flowers. “Ms. Alice, so beautiful! Flowers, so beautiful! Together, MOST BEAUTIFUL.” Yup, that got my money! This entry was posted in Food!, Gunma, School Life and tagged delicious, Gunma, Gunma chan, Japan, macaron, sweet, tasty. Bookmark the permalink.